The SKATTA led Coventry collaboration of MCs have upped the levels on this video which has been unleashed to SBTV last week. 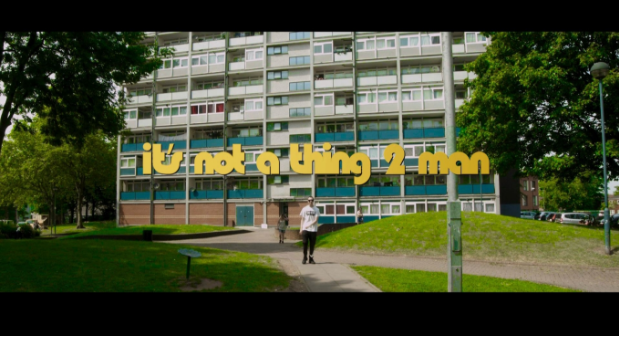 Fusing the sounds of grime and garage, ‘It’s not a thing 2 man’ is SKATTA‘s latest outing, as he shares the attention and brings through a range of heavy Coventry MC talent. Echoing what he did in 2015 with ‘Has it come to This’ which saw him appear live as a guest on BBC 1xtra, this is a high paced energetic sing a long grime hit which is all about the mindset of being able to hit your goals without it being a big deal! The song features Coventry talent BFAST, Outz, Ridla & ShadowCV6. ShadowCV6’s track ‘Not Alone’ was named Song of the Week by NEW LEASE MUSIC for two consecutive weeks in May.